Are you our new Fullstack Developer in the Inconvo team? Since the Stone Age, human beings have been getting to know each other by having a conversation. It's the original way to engage with someone. 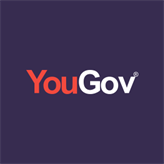 We are InConvo, part of the YouGov family. We are a well-funded startup building an audience conversation platform. Our technology makes two-way conversations possible at scale, and is used by brands, publishers and organisations to better engage with, understand and hear back from their audiences and constituents. Our vision is to become the best place on the internet for people to meaningfully engage and share their opinion with the individuals, brands and organisations that matter most to them. We are looking for a Fullstack Developer to join as one of our first hires in Mumbai, working closely with the CTO to deliver and architect a next generation audience conversation platform. As a Software Engineer at Inconvo, you will be fully involved in creating our product roadmap and driving product delivery. You will have the chance to work across the entire product suite: from the chatbot apps and APIs, to developing new features on our analytics platform. As one of our first technical hires, your input will help to create not only a great working environment but also the foundations for a competent engineering team. 3+ years of commercial experience using python/go/c#/java. As well as some experience in Django, Postgres SQL, Elasticsearch , DynamoDb. Experience or high level understanding of code testing methodologies. Positivity, determination to succeed, high energy with humility and a strong personal drive. Sound judgment along with a desire to challenge traditional thinking. Highly organised with a flexible approach to working. A strong work ethic and a focus on delivery. Equipment - whatever you need to succeed! The opportunity to contribute to and shape our vision, culture & growth.